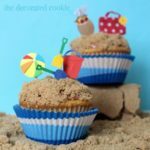 Summer cupcakes! 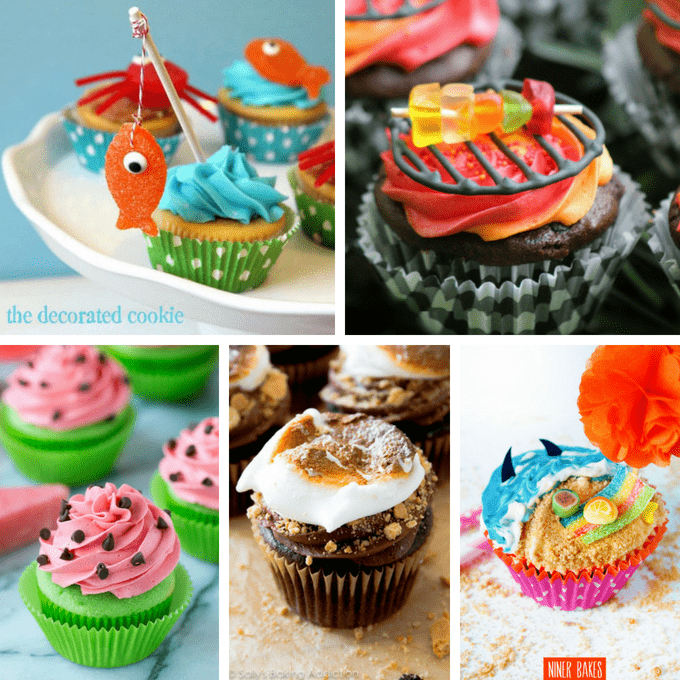 A roundup of ideas for decorating cupcakes. 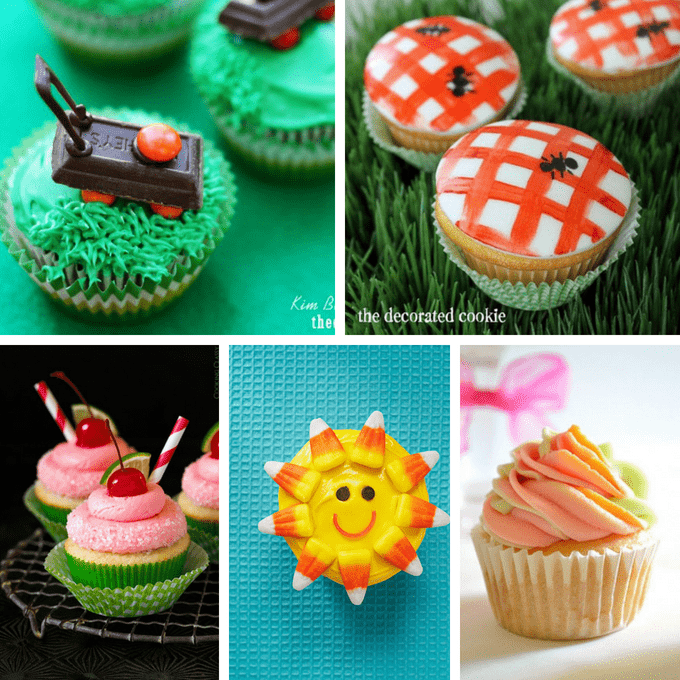 Summer cupcakes! 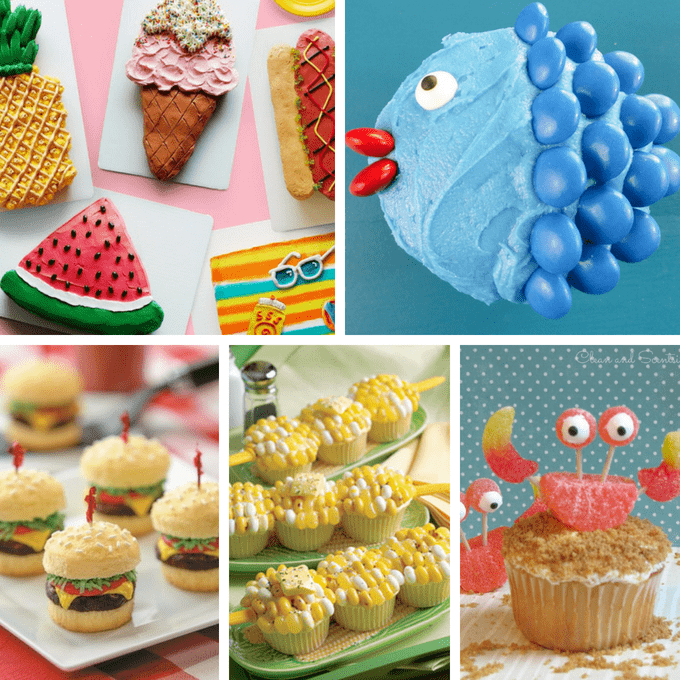 20 ideas from around the web for your summer parties, BBQs, beach parties, or anytime the sun shines. No need to mess with charcoal with these BBQ grill cupcakes from Frugal Mom Eh!. 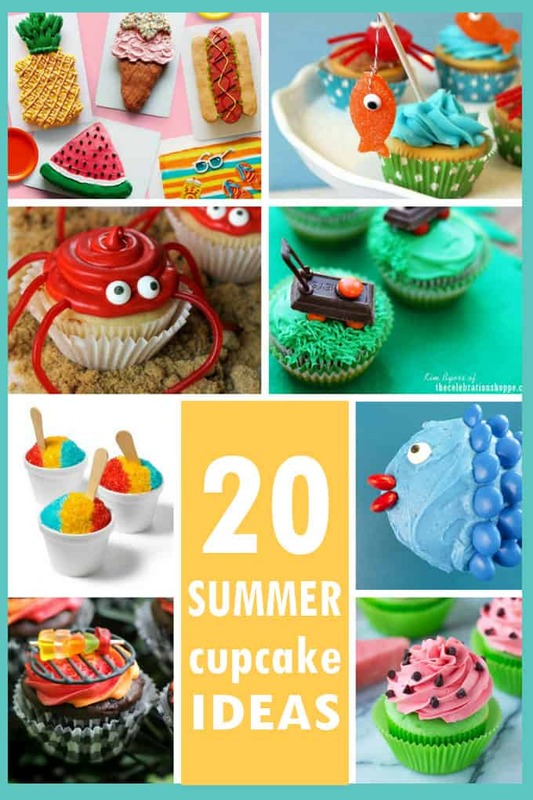 Watermelon cupcakes from The First Year Blog are adorable. You can’t have summer with s’mores! (cupcakes), by Sally’s Baking Addiction. These beach cupcakes (with sharks!) from Niner Bakes are awesome. Crab cupcakes are super easy to make. Try these campfire cupcakes, at Betty Crocker. Check out these banana split cupcakes from Handle the Heat. Relax with some palm tree cupcakes, from Your Cup of Cake. 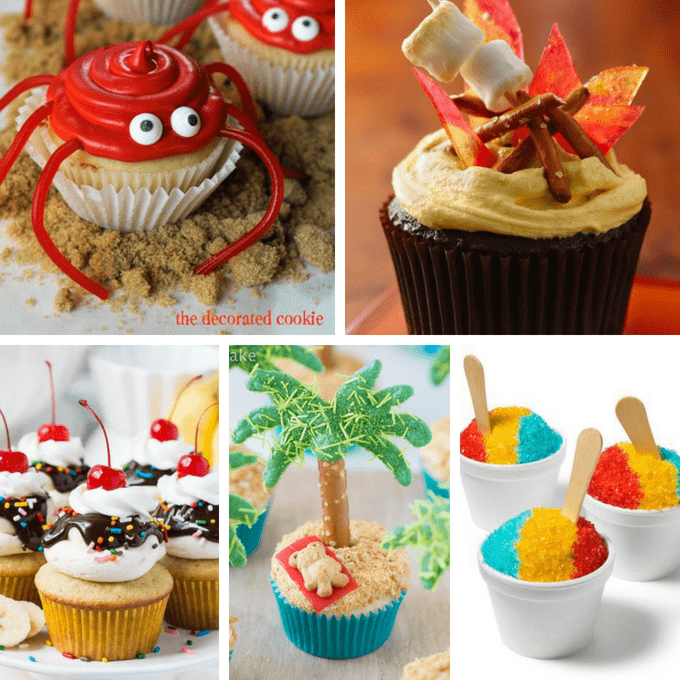 Melt-proof “Sno-Cone” cupcakes, from the Food Network. These pull-apart summer cupcake cakes are a little different. 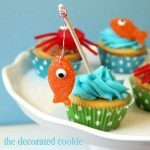 I love these easy little fishy cupcakes, at Two Sisters Crafting. Sweet sliders, burger cupcakes at Teen Vogue. Have a side of corn on the cob cupcakes, at Martha Stewart. Or these pinchers. 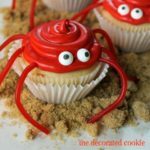 Crab cupcakes by Clean and Scentsible. Ha! Make lawnmower cupcakes at The Celebration Shoppe. Have a picnic! (table cupcakes). These cherry limeade cupcakes from Cooking Classy look refreshing. If you can find candy corn this time of year… sun cupcakes, at Taste of Home. So do rainbow sherbet cupcakes from The Melrose Family.